Pisgah Inn is a quiet, natural place. 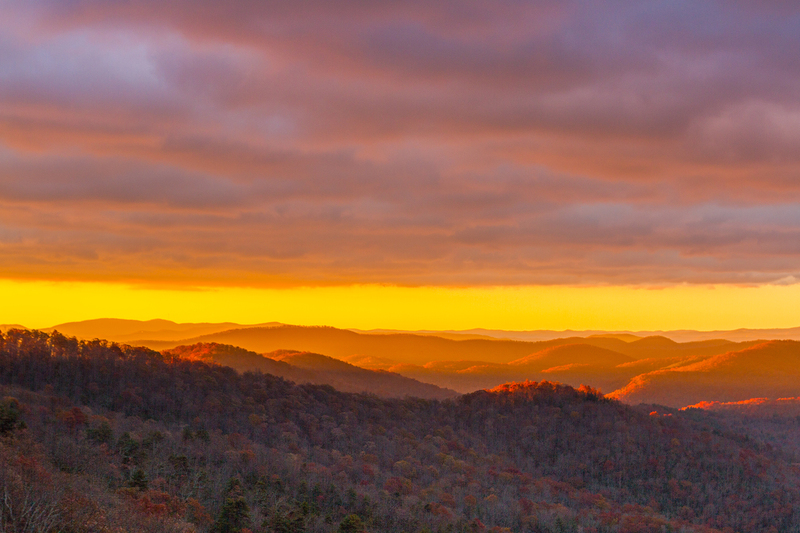 Natural breezes and mountain views provide a comfortable atmosphere for our guests to enjoy the Blue Ridge Mountains. 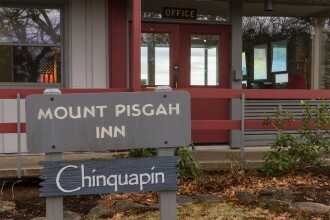 Pisgah Inn has been accommodating guests since the first Pisgah Inn opened in 1919. Come for the food and stay for the views - or come for the views and stay for the food. Either way you will love the Pisgah Inn. 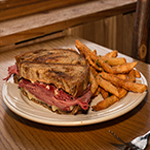 Pisgah Inn offers upscale casual dining. Our restaurant serves breakfast, lunch and dinner, seven days per week. Our chefs prepare daily specials that will tempt your culinary interests. Surrounded by large windows a panoramic view complements your meal. Please: Seating is strictly "first come, first seated basis." 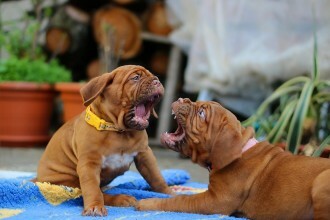 We do not take reservations. For information call 828-235-8228 Menus! The Country Store provides our adventurous guests with camping supplies and grocery items. 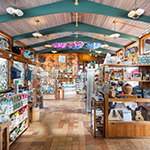 Visit our beautifully appointed gift shop where you will find a selection of local crafts, souvenirs, T-shirts, as well as books, maps and CDs to share with friends and family. No visit is complete without a stop at our country store. Don't miss the country store! 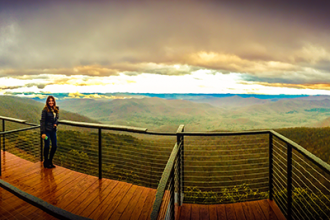 Enjoy 180° views from our observation deck. My wife and I first stayed at the Inn in 1972. We’ve spent over 100 nights there, including some birthdays, friend’s birthdays, birthday surprises, and trips with grandkids. Mainly, though, I recall just the pleasant times – wonderful getaways, good food and good hospitality. Thanks for keeping our favorite Inn our favorite. Hello from Pisgah Inn. I hope everyone is healthy and happy. Please allow me to share something with you all. We are pleased to be open for our 2018 Season. Things are going well and visitors seem to be pleased with the improvements we made this past winter. Our guests have long enjoyed the spring breezes, summer air, and fall foliage from our observation deck and now it is more spectacular. I am a dog person. I used to have 5 dogs, though now I have less. I like animals. It is a leisurely 15 miles from us (14 of which are on the parkway). 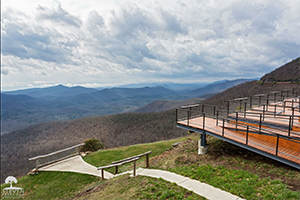 The Pisgah Inn and Restaurant will open for the Season, April 1st at 5:00 PM. We look forward to a great season and hope to see you soon.